Lee Abbamonte has traveled to every country in the world as well as both the North and South Poles. Lee is a multimedia travel expert, national television personality, author, speaker, adventurer, entrepreneur and founder of www.LeeAbbamonte.com. Lee has appeared on and been featured everywhere from CNN, Fox News, and Travel Channel to the New York Times, USA Today and Washington Post. Lee’s travels around the world have inspired millions of would-be travelers and he has been called the “Marco Polo of the 21st Century” by Arthur Frommer. 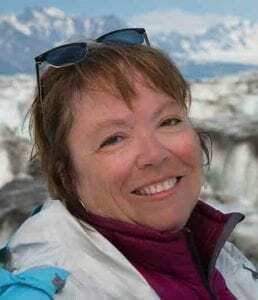 Marsha Barton – Marsha is a life-long resident of Alaska attending school and college in Anchorage. She started traveling in college and has never stopped. Marsha started her tourism career at Anchorage’s high-end Alyeska Resort working with international visitors in the 1970’s. Her career in the visitor industry continued through a 20-year career with Delta Airlines working in several cities before retiring in 1996. Masha returned to Alaska permanently to work for a day cruise company operating in Prince William Sound. In those days she liked to say her office was a catamaran located in “front of a glacier.” In 2008 she accepted a job as Tourism Sales Manager for Visit Anchorage responsible for Taiwan, China, Australia, New Zealand, India and Korea. When possible, she also works the domestic market participating in the Travel & Adventure Shows with the rest of her team. Marsha feels very grateful to have lived in Alaska and feels especially fortunate to have the honor of sharing this magnificent destination with fellow travelers. Chrystal T. A. Bethell is the Marketing Coordinator for the Bahamas Ministry of Tourism Office in New York, USA. Over the few years of her joining the team, she has made an impact on strengthening the relationships of The Bahamas with the North East Region and played a vital role in strategically reintroducing north east travel agents and consumers to the wonders of The Islands of The Bahamas. Chrystal a native of The Bahamas, has always been a proud ambassador for The Bahamas, even from her college days in creating the first Caribbean Day on her college campus, to traveling to Germany and China as a beauty pageant queen for the Miss Bahamas Organization, to presenting her unique Bahamian accent and dialect along with her acting talent on stages and television around the world; from The Bahamas, New York, Scotland and more. Her passion for the Arts, along with her talent and training has certainly complimented her role as Marketing Coordinator. She imparts leadership, team spirit, innovation, and creativity daily as she achieves success in her specific role, and for the overall goal to help and give back to The Islands of The Bahamas. Juliana Broste, “TravelingJules,” is an Emmy award-winning Travel Video Journalist, a producer, shooter, writer, editor and host. 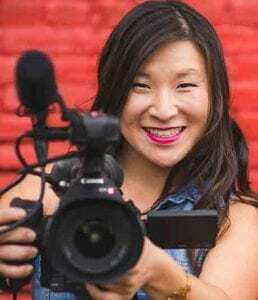 Whether you spot her in front of the camera or behind the lens, you’ll recognize this fierce female filmmaker sporting pink lipstick and an armful of camera gear! Jules creates engaging travel video content for travel brands, media outlets, and her travel vlog. Her adventures have taken her around the globe, from ski slopes in Colorado to volcanos in Hawaii to street food stalls in South Korea. Her work has been featured on CNN, Travel Channel, Lonely Planet, USA TODAY, Viator and more! Jules’s mission is to share amazing “things to do” around the world and inspire travelers to discover new experiences and document them, too. Come along for the adventure with TravelingJules on Facebook, Instagram and YouTube. Travel expert and television host Samantha Brown has been hosting TV travel programs for 18 years. During her time at Travel Channel she created 10 original international and domestic travel series generating over 170 hours of television. 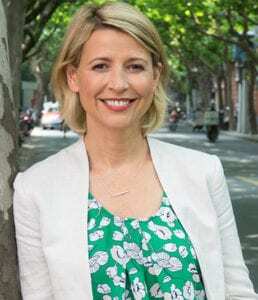 In 2017 Samantha moved from the Travel Channel to PBS and Season 1 of her new series Samantha Brown’s Places to Love premiered in January, 2018. In Places to Love, Samantha features the destinations, experiences and most importantly the people that make us the traveler feel like we belong to a place. Season 2 will begin airing on PBS in January 2019 and features destinations like Switzerland, Hong Kong, Lafayette, Louisiana, Baltimore and New Zealand. Samantha is known for getting to the emotional heart of travel by focusing on the people, their culture, and the privilege of spending time in their everyday lives. Viewers passionately follow Samantha and her expert advice not only because of her experience and knowledge, but also because of her warmth, genuineness and love for travel. Samantha grew up in New Hampshire and currently lives in Brooklyn, NY with her husband and 6 year old twins Ellis and Elizabeth. Sylma Brown has been serving as Director, Caribbean Tourism Organization-USA, Inc. for the past seven years. In that capacity, she is responsible for the management of the North American operation of the Caribbean Tourism Organization, the CTO scholarship Foundation and the CTO Relief Fund. Working with representatives of CTO member countries and an engaged private sector membership, the CTO-USA office conceives, develops and stages events that promote the uniqueness and authenticity of the Caribbean. They provide additional positive exposure to members by representing the region at international trade and consumer events in the Americas. 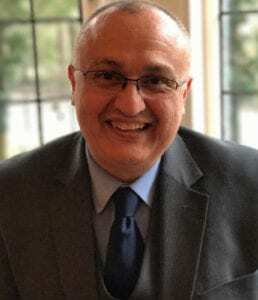 Angel Castellanos, (www.AngelsTravelLounge.com) is a passionate world traveler, travel writer, influencer, multi-media personality and nationally recognized speaker dedicated to helping people travel smart, well and often. Traveling to over 75 countries on 5 continents (and counting), Angel travels 12-14 weeks internationally each year and draws on his experience and frequent travels to teach “Smart Travel” and equip travelers with the skills they need to make travel easy and enjoyable. He bridges the gap between the practical, common sense advice he’s learned by traveling the world and the new savvy tips and experiences that have helped his generation revolutionize travel. 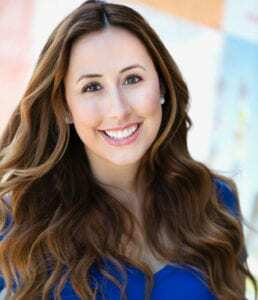 Angel has appeared in the Los Angeles Times, Fox News, Univision, Frommers Radio, USA Today & Travel & Adventure Show as “America’s Newest Travel Expert”. Pauline Frommer is co-President of Frommer Media, LLC, with her father, travel legend Arthur Frommer. Together, they publish America’s most popular series of travel guidebooks, the Frommer guides, as well as Frommers.com, a website that welcomes more than 3 million unique users per month. She is also a nationally syndicated radio talk show host, and she pens an internationally syndicated newspaper column on travel for King Features. You may recognize her face as Pauline created weekly travel segments for CNN’s Headline News for 3 years. She’s also appeared on The Today Show, Good Morning America, NPR’s Marketplace and Talk of the Nation, CNN, FOX, MSNBC and every local news station you can name. She was the founding editor of Frommers.com and edited MSNBC.com’s travel section for two years. Pauline is the proud mother of two well-traveled daughters and wife to Columbia University professor Mahlon Stewart. A multiple Emmy Award-winning investigative reporter and producer, Peter Greenberg is Americaʼs most recognized, honored and respected front-line travel news journalist. 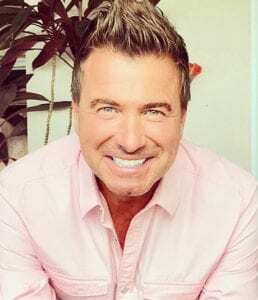 Known in the industry as “The Travel Detective,” he is the travel editor for CBS News, appearing on CBS This Morning, CBS Evening News with Scott Pelley, and Sunday Morning, among other broadcast platforms. Greenberg also produces and co-hosts an ongoing series of acclaimed public television specials, “The Royal Tour,” featuring personal, one-on-one journeys through countries with their heads of state. Along with such figures as the King of Jordan, Prime Minister of Israel, Prime Minister of New Zealand and presidents of Mexico and Peru, Greenberg’s newest special features the president of Rwanda, Paul Kagame. Among other television projects, Greenberg is creator, co-executive producer and host of CNBCʼs specials “Inside American Airlines: A Week in the Life” and “Cruise Inc: Big Money on the High Seas,” and is co-executive producer of “Baggage Battles,” airing on the Travel Channel, and The History Channelʼs two-hour special “Lost Magic.” On radio he hosts the nationally syndicated show “Peter Greenberg Worldwide,” broadcast each week from a different remote location worldwide, and is heard on hundreds of radio stations across the U.S. He began his career in journalism as West Coast correspondent for Newsweek in Los Angeles and San Francisco. He won a national Emmy Award (Best Investigative Reporting) for his ABC “20/20” special on the final orphan flight out of Vietnam, “What Happened to the Children?” He also is the recipient of the Distinguished Service Award in Journalism from the University of Wisconsin, and an Excellence in Broadcasting Award from the Aviation Space Writers Association of America. Greenberg is a sought-after expert speaker and moderator. He is a keynote speaker at annual summits for the World Travel and Tourism Council, the Global Business Travel Association and Virtuoso. He is also one of the chief moderators at the World Economic Forum and the Global Tourism Economic Forum. Along with a recent TED talk, he is a guest speaker at events which have been hosted by Visa, Bloomberg, AARP and numerous other B2B and B2C organizations. Matthew James is inspired by his loving family and friends to journey into the unknown parts of the world. Born and raised in southern Ontario, MJ was immediately introduced to an adventurous lifestyle by a family of avid explorers. He loves the outdoors and has been infatuated with all things wild from a young age. He first travelled to the Arctic at the age of two—an experience that ignited his love for the North. As the Director of Business Development, MJ focuses on creating long-lasting partnerships with likeminded organizations. His years of experience working aboard expeditions have ideally equipped him to anticipate and understand the individual needs of clients and partners alike. MJ prides himself on crafting custom experiences that surpass expectations and meet objectives on both sides of the table. MJ travels widely to understand diverse cultures, connect with people, and nurture his love for the natural world. With over sixty expeditions all over the world—and seventeen years of field experience—under his belt, MJ is highly experienced in all aspects of expedition cruising. Safety and guest experience are his two primary concerns, and he brings his passion for all things wild to bear on trips. His favorite places to travel are the polar regions, and has led dozens of trips to the Arctic and Antarctic. Whether in the role of Expedition Leader, host, or Zodiac driver, MJ is dedicated to sharing experiences and leading the charge. 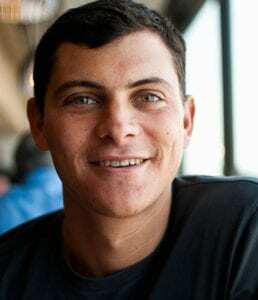 Matthew Kepnes, otherwise known as Nomadic Matt, is the authority on cost-conscious travel. An intrepid globetrotter, blogger, and author of “How to Travel the World on $50 a Day: Travel Cheaper, Longer, Smarter,” Nomadic Matt and his money-saving travel secrets have been featured in The New York Times, The Wall Street Journal, CNN, Time, BBC, The Huffington Post, The Guardian, and National Geographic, and countless other publications. Nomadic Matt has a reader base of 1.5 million readers each month. Matt regularly speaks at travel trade and consumer shows, leads group tours globally, owns a hostel in Texas, created the travel media school Superstar Blogging, and founded the non-profit FLYTE (Foundation for Leadership and Youth Travel Education), which sends high school students in under-resourced communities abroad for the first time in order to bring their classroom experience to life. In 2018, Matt launched TravelCon, the newest conference in the travel media space. When he’s not trekking the globe in search of new money-saving secrets, Matt can be found exploring either New York City or Austin. A professional actor and adventurer, Jack Maxwell has learned his best lessons, stories and lighthearted jokes in the barrooms of South Boston. He has made guest appearances on hit broadcast television shows such as 24, Lost, Without a Trace and Beverly Hills 90210. Maxwell became a lifetime member of the Actors Studio in 2003, won Best Actor in a Lead Role at the 2012 Pan Pacific Film Festival and was presented with both the Emerald Star and Golden Halo award from the Southern California Motion Picture Council. Additionally, he has shared stage time with Al Pacino and Jessica Chastain in Oscar Wilde’s Salome, as well as the movie, Wilde Salome, about the making of the play. At a young age, Maxwell made himself an entrepreneur by shining shoes in neighborhood pubs and gin mills, where he would listen to the boozy tales that echoed from above him. This early experience awakened his awareness of alcohol’s magical socializing effect. In Travel Channel’s original series Booze Traveler, Maxwell ventures the globe to not only get a taste of a country’s alcohol, but to quench his curiosity about what people drink, why they drink it and the stories they tell when they do. At each stop, he connects with locals, immerses himself in regional activities, learns about the country’s unique relationship with liquor and sometimes even participates in the alcohol-making process. Available on my website and iTunes, Spotify, Stitcher and Tune In. Yolanda Parra is the Director of American Citizen Services and Crisis Management in the Bureau of Consular Affairs for the U.S. Department of State. Yolanda most recently served as Senior Advisor to the Deputy Assistant Secretary for Overseas Citizen Services. Prior to this, she served at the U.S. Embassy in Brasilia, Brazil, Cairo, Egypt, Tokyo, Japan and Jerusalem. Before joining the U.S. Department of State, Yolanda worked as a management consultant with Delloitte and Touche and as a financial auditor with Price Waterhouse Coopers. Yolanda has a Bachelor in Business Administration and Masters of Business Administration with a concentration in Accounting and Finance from Southern Methodist University and is a Certified Public Accountant. After graduating with Bachelor In Science of Business Management in Turkey, Mr. Poyraz decided to move to The USA in 1993, started working for Tour Operator in New York City which specialized Tour packages for Turkey. After six year in working on Airline reservations and ticketing, he moved to Boston for International Airline ticket wholesaler. After 13 year of successful career as Branch manager, he moved to New York City for a while, but his next Career role brought him back to Boston as Marketing Specialist for Turkish Airlines Boston. He is married with one kid, passionate about Travel in General. After 20 years in Boston, he considers himself a Bostonian. 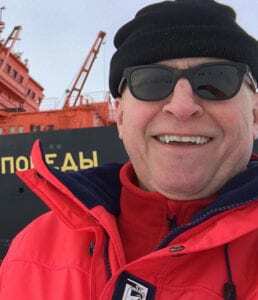 A 30-year veteran of the expedition cruise industry, Steve has actively been involved in polar expedition cruising since 1997. This includes five years as Executive Director of IAATO, the International Association of Antarctica Tour Operators. 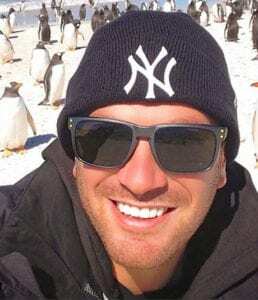 In that capacity, he represented the Antarctica tourism industry, helping to ensure best practices and environmental stewardship by all Antarctic tour operators. He also served as vice president of marketing & sales at both Elegant Cruises and Clipper Cruise Line. 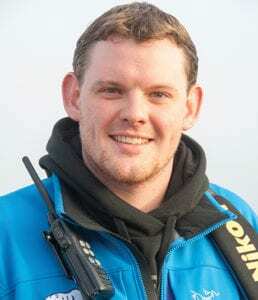 A resident of Providence, Rhode Island since 2005, Steve currently manages the North American office of Poseidon Expeditions, which he opened in 2014. Valerie Joy Wilson is a travel expert, journalist, self-made social media influencer, host, explorer, and entrepreneur. Valerie has been a travel enthusiast and experience junkie from a young age. Growing up in the foothills of the Adirondacks, Valerie found her sense of adventure and love for the outdoors by participating in skiing, sailing, hiking, scuba, and waterskiing. She attributes her audacity and eagerness to explore the world on her own to the discipline and sense of confidence that these activities instilled in her at such a young age. In addition to writing about her experiences and providing valuable travel deals and advice on her website, Valerie has been featured as a travel expert in Forbes, Insider, The Daily News, The Culture Trip and on Hallmark Channel’s Home & Family, as well as the KTLA morning news. She has written for the Huffington Post, JetSetTimes, Thought Catalog and Matador Network. Valerie also hosts her own video segments in which she reveals an intimate look at some of her favorite destinations. 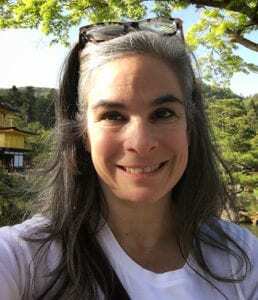 Founder of Trusted Travel Girl, Valerie Joy Wilson, believes that the best adventures lie just off the beaten path and the only way to make the most of your time while traveling is to experience each city like a local, not a tourist. Valerie’s philosophy is that it is not enough to just see the sites, but you need to leave the tourist traps and immerse yourself in the local culture of the city or country. Get off-the-beaten-path and enjoy the local cuisine, experience the beliefs and values of the community, and absorb the art and knowledge of the people. Trusted Travel Girl seeks authentic experiences, creating unique content for each destination visited. Valerie inspires her audience to leave the beaten path of tourism and encourages everyone to be travelers, not tourists. President and Founder, Cruise and World Travel Inc.
Nancy Yale’s agency name literally reveals her career path in travel. First, as Cruise Connection, she specialized in honeymoon cruises, doing bridal shows even when cruise representatives told her the shows didn’t work. But thanks to Nancy’s personalized follow-up, they did. Then those married couples came back to Nancy and wanted to go on anniversary trips to resorts, so she became Cruise and Resort Connection. As she and her clients got older and had time to travel the globe, the business evolved into its current incarnation, Cruise and World Travel, Inc. In 1992, Nancy was a former speech pathologist and medical equipment sales representative who had taken time off to raise her three children. Nancy was looking for a business she could easily combine with motherhood. Her passion for cruising led her to travel, and within six months, her one-woman agency expanded to an office. She worked while the kids were in school and hired someone to staff the office after 3 pm. That was the first of many more agent hires, company expansions and office moves. Having travelled personally with her husband and family of 3 children for the past 26 years to many countries around the world, Nancy is able to create unique travel experiences with dedicated customer service and expert insights. Her passion is exotic, active travel adventures such as Gorilla tracking in Africa, hiking in Sri Lanka, and family trips to Costa Rica and the Galapagos. One-of-a-kind honeymoons to East Africa and the Maldives leave clients with memories of a lifetime. She has sailed on most cruise lines from luxury ships to river cruises. 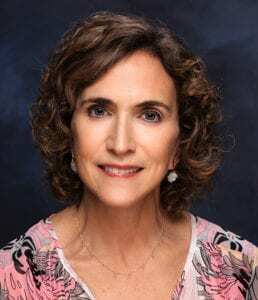 She was appointed as the first Master Cruise Counselor in the state of Connecticut by the Cruise Line’s International Association (CLIA) and has served for 10 years on the Virtuoso Cruise Committee. Nancy has earned numerous Virtuoso top travel advisor awards as well as being named by Travel & Leisure as an “A-List Top Travel Expert.” Attending invitation-only travel conferences from Morocco to France has enabled her to establish first-hand relationships with hoteliers and suppliers worldwide, allowing her to provide special amenities to her clients. 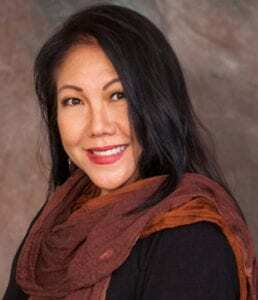 Julie Yoneyama has extensive experience in public relations, sales, and marketing. 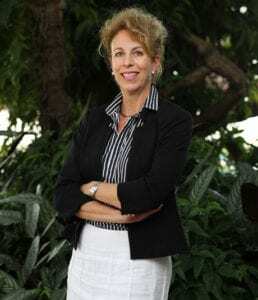 As the director of leisure sales at the Maui Visitors & Convention Bureau (MVCB), Julie oversees the travel trade development and leisure markets in the United States and Canada. She educates travel agents, wholesalers, and various partners about Maui Nui’s unique offerings and attributes and provides them with the tools necessary to sell the destination. Before joining MVCB, Julie was most recently director of training for Na Hoaloa ‘Ekolu brand. This company includes the more familiar names of the Old Lahaina Luau, Star Noodle, Aloha Mixed Plate and Leoda’s Kitchen & Pie Shop. Her staff and management-training program included Hawaiian Culture with the Ho’okipa Me Ke Aloha Hawaiian Values Class. Julie also holds a certification from Kapiolani Community College, sanctioned by Hawai’i Tourism Authority to conduct this training. Prior to her position as director of training, Julie worked in the sales, public relations, and marketing departments at Na Hoaloa ‘Ekolu. She was a spokesperson the company’s national television; writer and editor for the company’s newsletter; and operations manager at the Old Lahaina Luau. 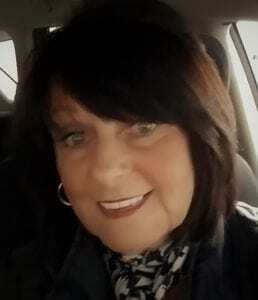 Denise Francis-Zimber, CTC, has over 40 years’ experience in the Travel and Tourism Industry. Denise’s expertise is a direct result of her impressive employment background with some of the travel industry’s most innovated companies, including Airlines, Cruise Lines, Caribbean Resorts, Tour Operators, Wholesalers and Tourist Boards. 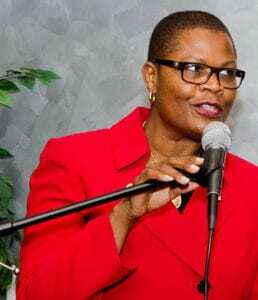 In 2002, her involvement to secure successful relations with destinations and suppliers gave birth to her relationship with and continued employment as Trade Relations Specialist for the St. Kitts Tourism Authority.